When all is said and done in your commercial property’s landscape design and installation, that’s really just the beginning! Once the flowers are planted in their beds, the sod has been laid and the trees have been planted, then begins the process of maintaining everything you’ve put in place. A strict commercial lawn care plan is absolutely crucial to maintaining a beautiful property, from regular quality-control inspections to keep your turf in good condition, plus occasional emergency treatments as needed. For lawns that need a bit of extra care up front, proactive pest management and weed control treatments can be equally important to irrigation and other basic landscape maintenance. GreenEarth’s pest control services range from proactive integrated pest management programs to emergency treatments that tackle specific problems such as grubs, ticks and other pests. Weed control regimens include pre-emergents to control pesky weeds like crabgrass before they become an issue, but they can also be tailored to apply treatments to knock weeds out after they’ve taken root. Regular lawn fertilization provides essential nutrients to your commercial property’s turf, such as nitrogen, phosphorous and potassium — grass needs these nutrients in large quantities but requires a boost to get them. To provide those essential nutrients in the proper quantities, your commercial landscape will need a complete fertilization program — not simply one application at the beginning of the season. GreenEarth also offers core aeration and other commercial lawn care services. 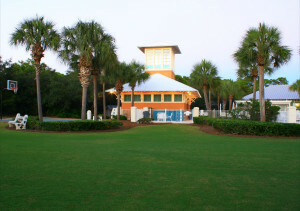 The commercial lawn care professionals at GreenEarth Landscape Services will assess every inch of your commercial property to ensure the most comprehensive plan for your needs. Contact us today to discuss your commercial lawn care needs. We’d love to talk with you about establishing a comprehensive lawn care program. You can reach our Panama City Beach office at(850) 236-1959 or our Santa Rosa Beach office at (850) 267-0010. Or, you can fill out our handy online form to schedule a free consultation.